Hope fall is treating you well. 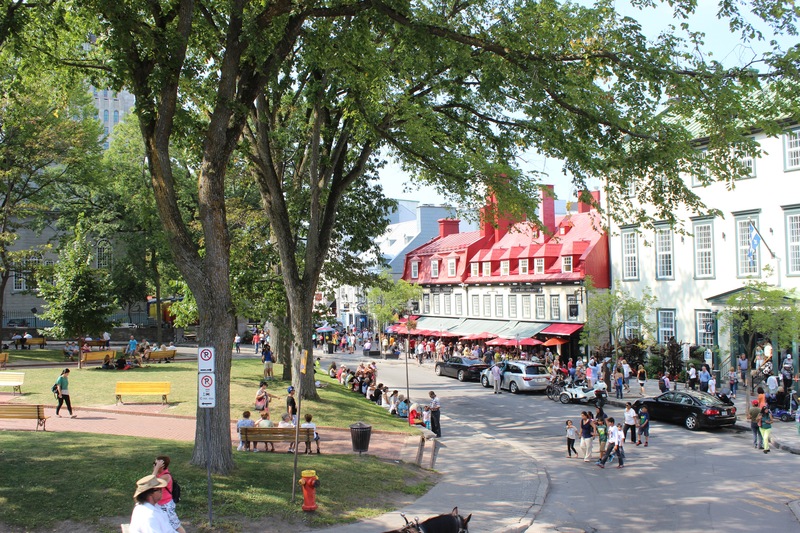 Today I am writing a travel post on one of the most romantic and beautiful cities in Canada. 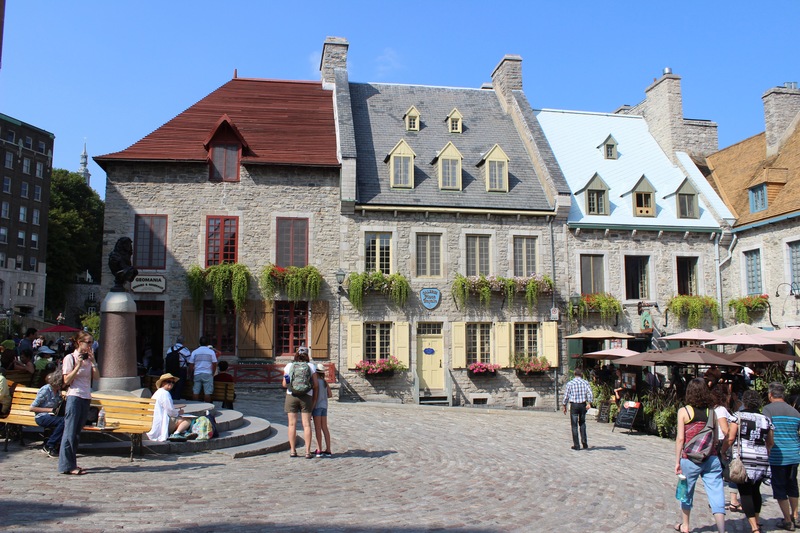 I visited Quebec this summer and I had a wonderful time there. 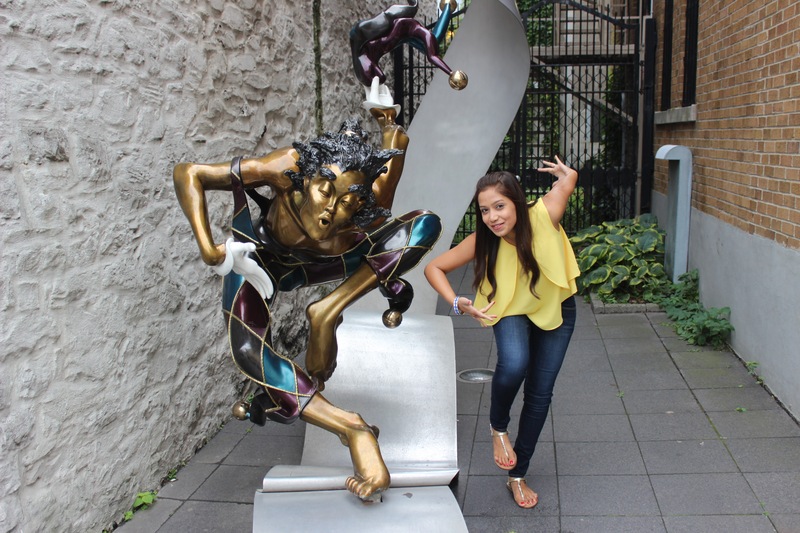 From street festivals to flash mobs, the whole city was so bubbling with fun and enthusiasm. 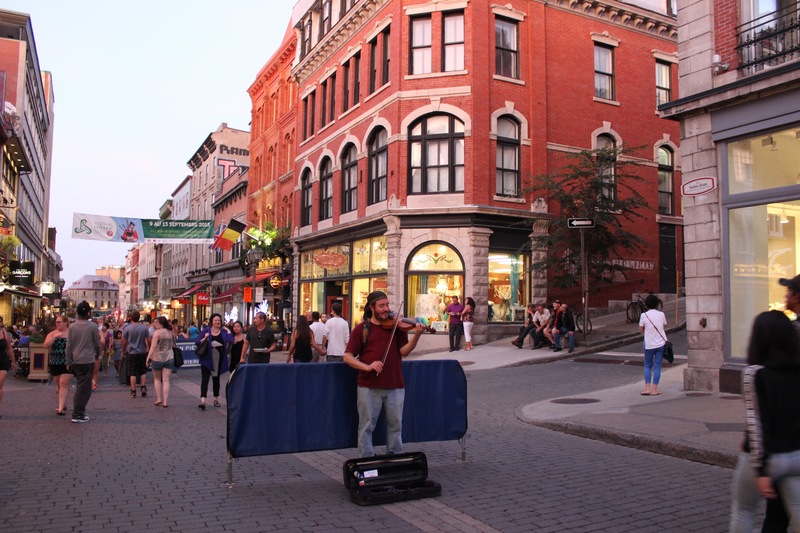 I loved the beautiful cobbled streets and the buildings in Quebec and the best part of visiting Quebec City in summer were the street performers. 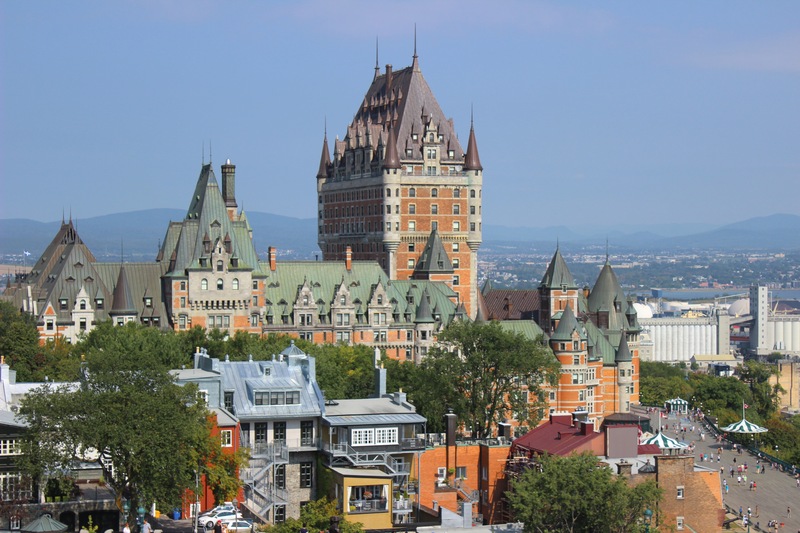 There were so many artists, singers, dancers and performers who were visiting Quebec from as far as Australia and it was a delight watching them. 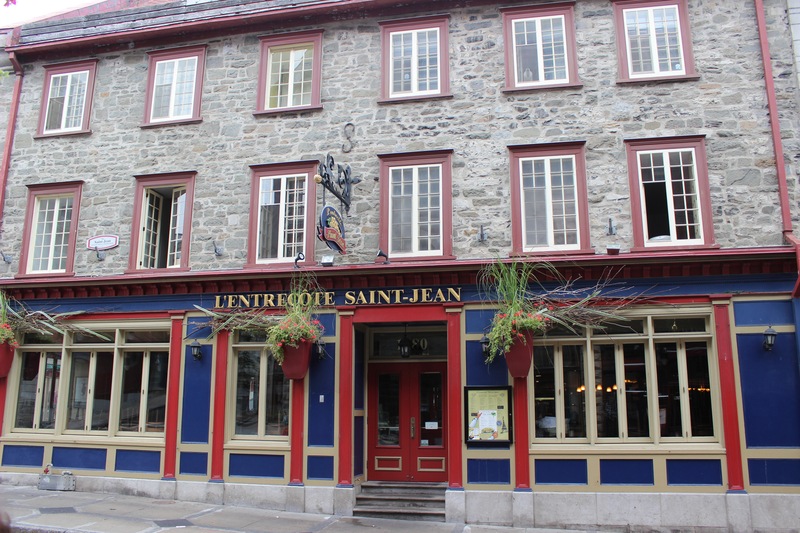 I was in Quebec for 2 days. 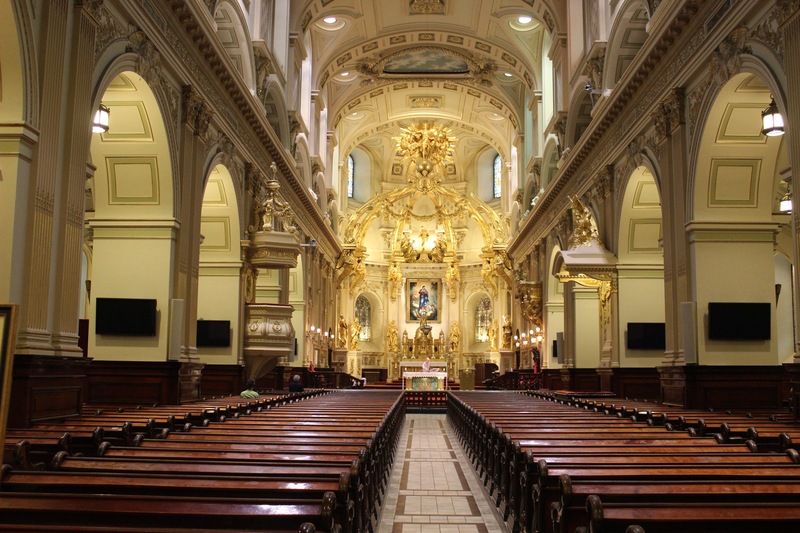 I would recommend you merge your visit with Montreal while visiting. We stayed at the beautiful Hotel Clarendon. 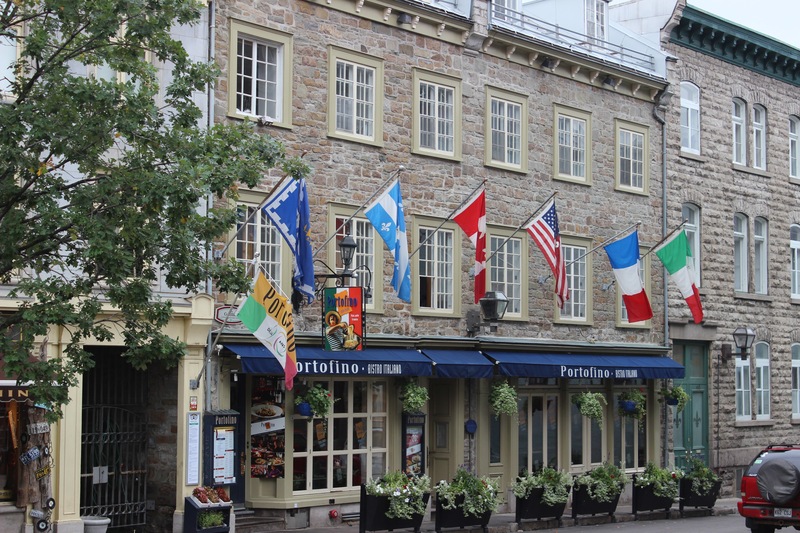 It’s the most charming hotel I’ve ever stayed in and is located right in the heart of Quebec. 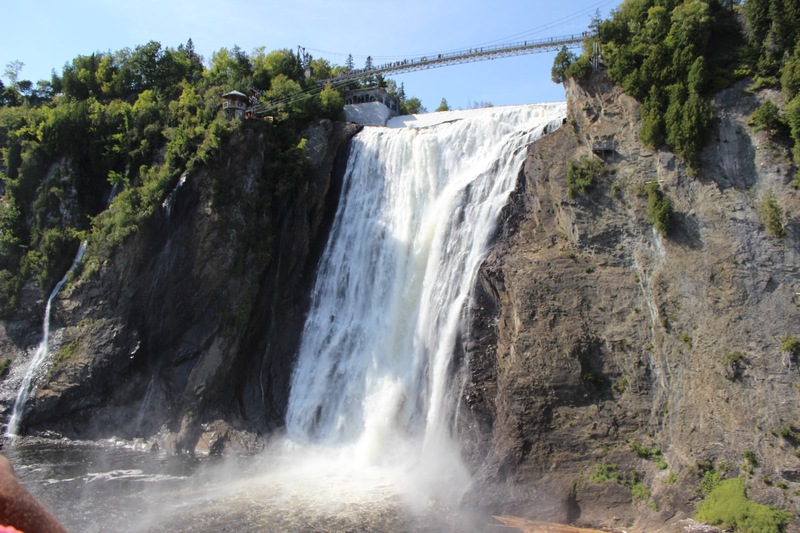 Magestic falls on the outskirts of Quebec. You can take the bus from the Gare-Palaris/2562 station to des Rapides towards Beauport (Est). It takes about 33 minutes and costs $2.75 per person. You need to be in good shape to go all the way down the stairs to the falls. However, if that’s too much for you, you can see the falls from atop the bridge. Also, for you adventure lovers, they now have zip-lining across the falls for about $20 per person. I would totally recommend it as its an awesome experience doing this with the falls behind you. 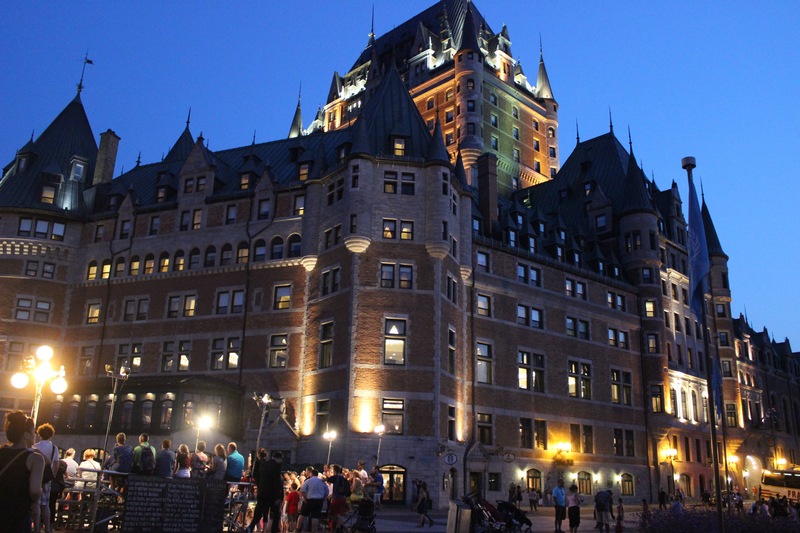 At night, get some Gelato ice cream and walk around downtown Quebec. 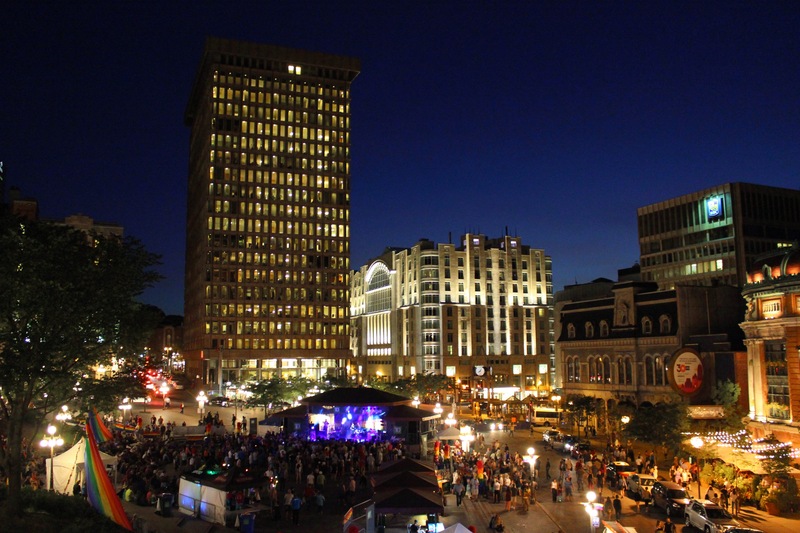 It’s so beautiful just to stroll around and enjoy the views from Place De Youville at night. They even have some live performances going on in summer and you can see it from atop Youville. 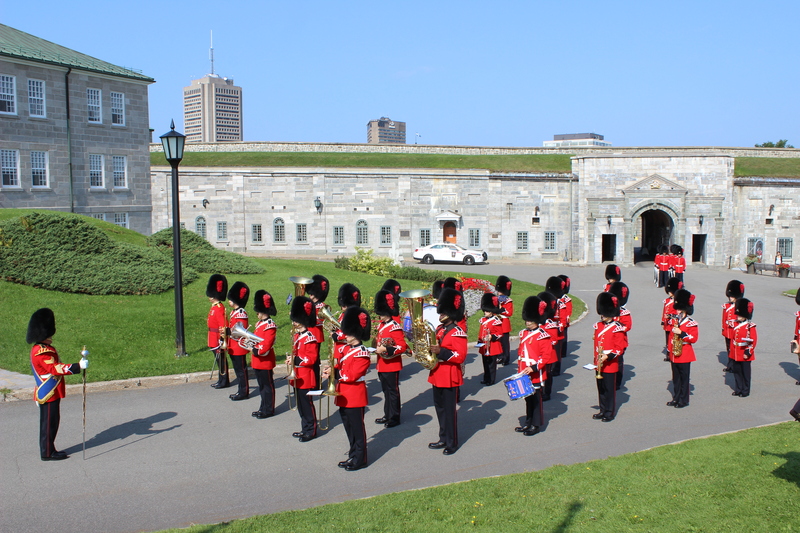 Wake up early to go see the guard change ceremony at the Citadelle de Québec. It starts at 10 AM so be here on time. 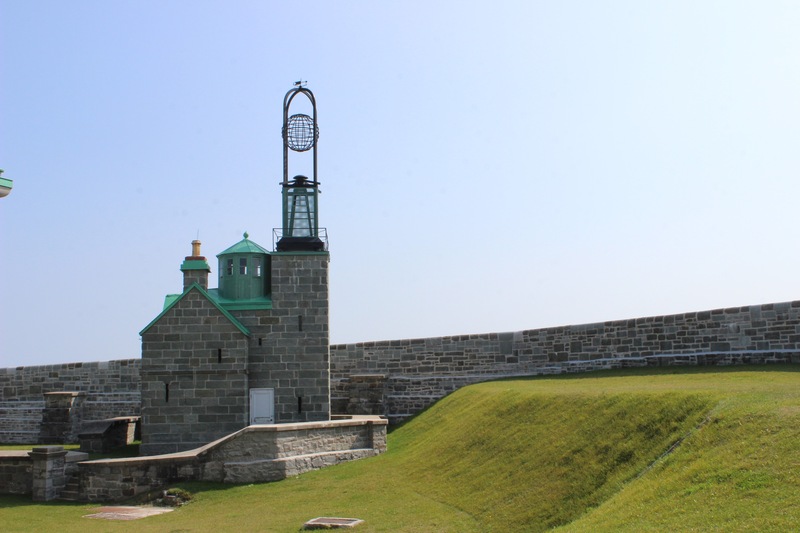 Later you can take a tour for $13, where they walk you around the Citadelle and tell you about its history. And while you are touring the Citadelle, take the opportunity to take pictures and enjoy these gorgeous views. It surely feels like you are in a Cinderella movie. 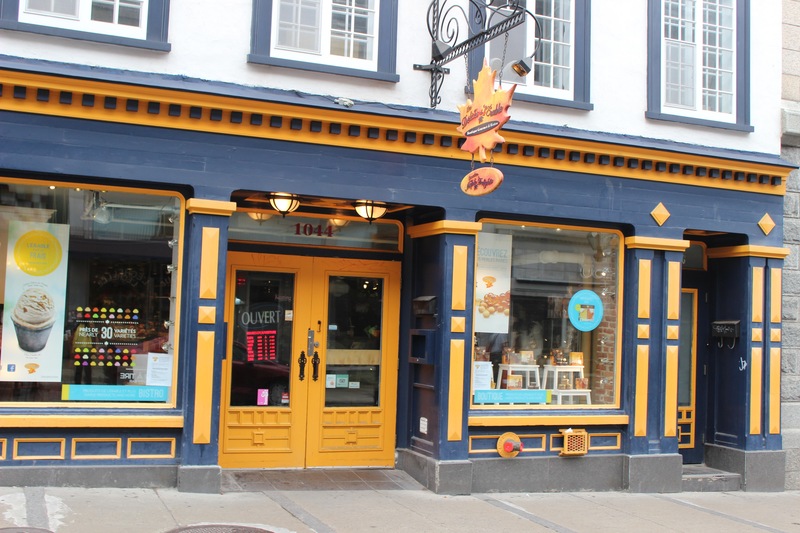 Next, you can either go around touring Quebec City yourself or take a hop on hop off tour which pretty much takes you to all the nice places in the city such as Place d’armes, Plaines d’Abraham etc and saves you a lot of time. It runs from 9 to 5 and costs about $35 a day for the red loop. Here’s the link to book the tour. You need to get off at Place Royale. 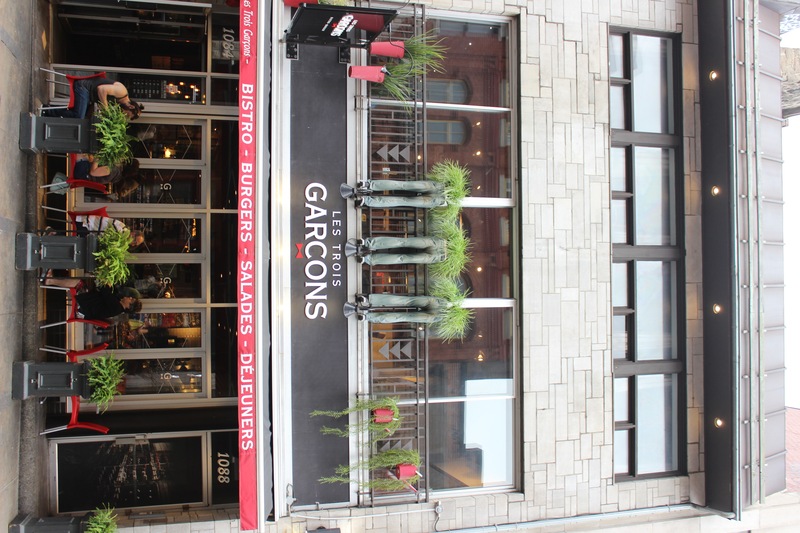 It’s a beautiful neighborhood with cute stores, restaurants, gelato shops and a lot more. 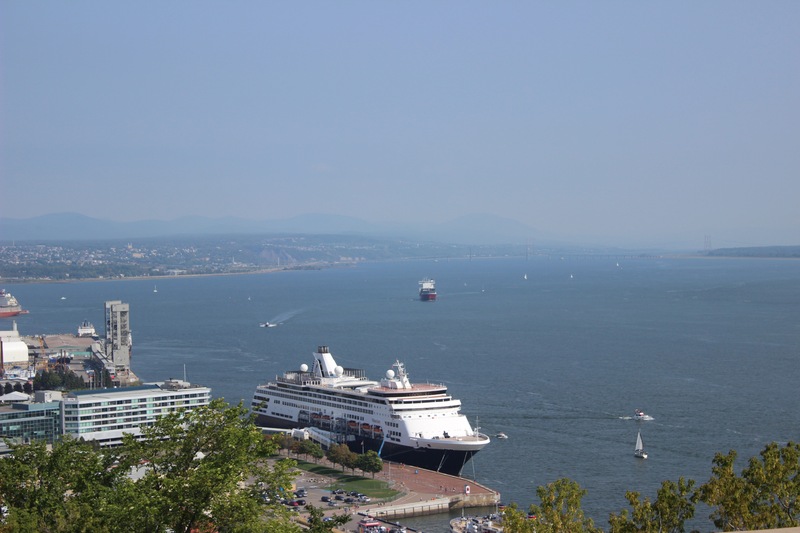 They have a small observatory here from which you can see the views of the city and the port is directly in front of it. Beautiful art on one of the buildings there. 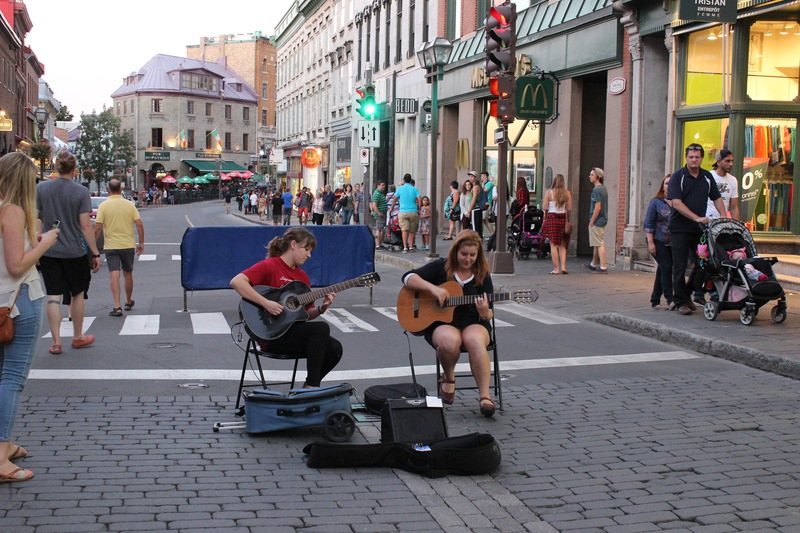 Love all the street artists and musicians in Quebec. 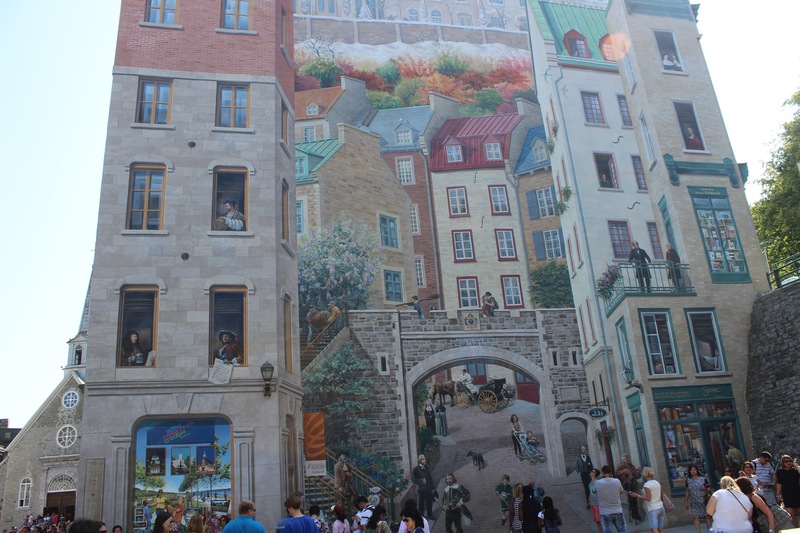 More pictures of downtown Quebec. 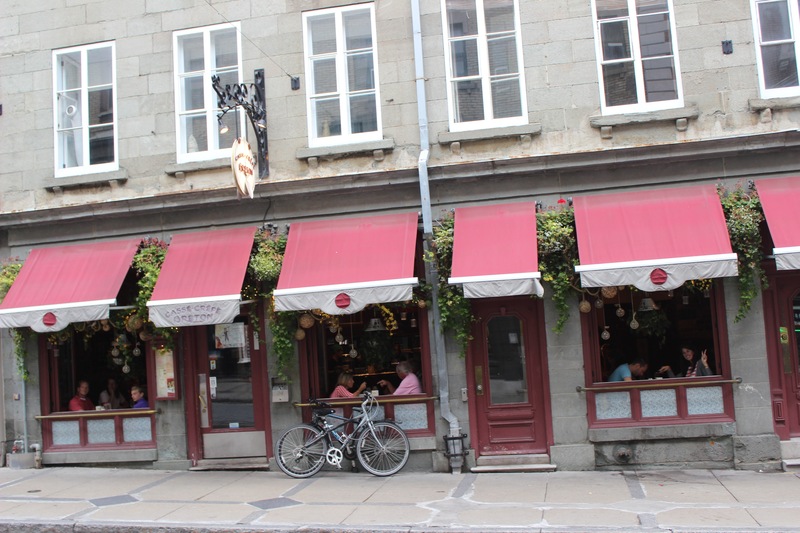 Beautiful streets near Youville with a bunch of restaurants, horse carriages. Just stroll around, watch street artists, eat, drink wine and enjoy yourself. 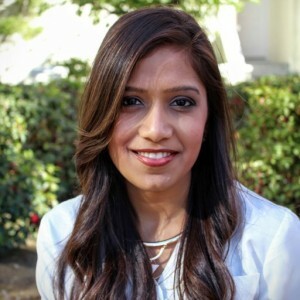 Let me know if you have any questions and I would be happy to answer them in the comments section. 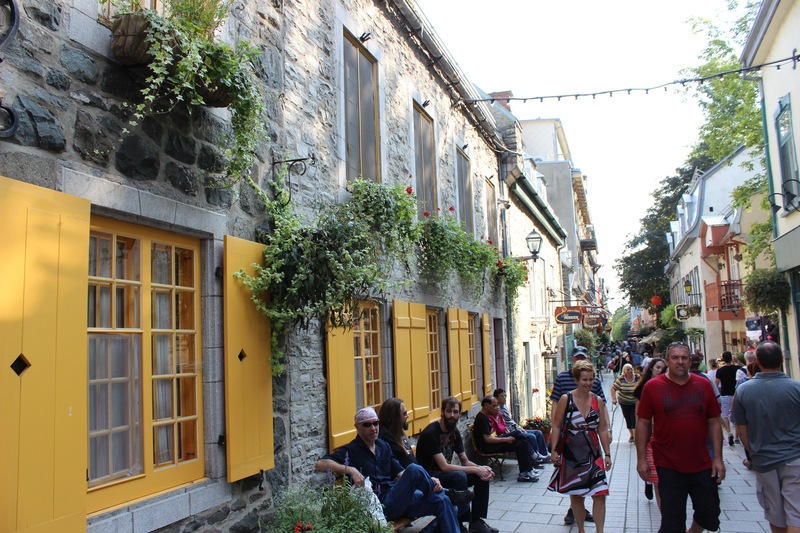 I didn’t know Québec was so beautiful and charming! Thanks for sharing!